Peers and peer programs—you’ll hear Amanda mention Bridge House, which is a really cool “clubhouse” that everybody loves. Read more about peer options here. Talk therapy—because there’s nothing like paying someone to listen to you talk, right? Group therapy—because it can be really helpful to talk with people who understand what you’re going through. Don’t get discouraged, if you don’t get the help you need, try again! WHAT DOES IT TAKE TO RECOVER? 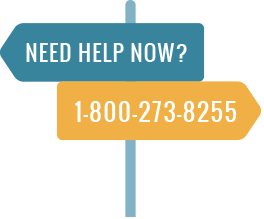 For more info written by individuals and family members who have struggled with mental health issues, click here for NAMI’s Treatments & Services page. Read about psychotherapies (and which work best for which issues) here. Learn about different types of medications here. Interested in learning about brain stimulation therapies? Check this info out. There are many around our state. 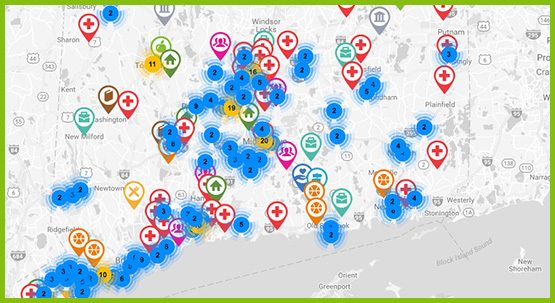 Explore this interactive map, created by TurningPointCT, to find direct care organizations, groups, and agencies that offer services for young people seeking recovery.